Shopping for our grandson! WOW! I need to get this, that, this and definitely that! It happened…I held myself back as long as I possibly could. And then I was at a department store yesterday and I just by accident walked towards the baby area. There was a force pulling me to the back of the store. A force stronger than the pull that was being emitted from the shoe department. I love shoes. I have found something that I love more than shoes…our baby grandson! He will be born in December…I am trying my best to be very patient and not get carried away with shopping! My patience was truly tested in the baby department and this is not even my most favorite store. I looked at every possible piece of boy clothing in the entire area. I left not even a blanket untouched. Will he like blue best? Will he like red best? Will he want to wear dress-up outfits? Will he be a farmer boy with overalls? I suppose that I might as well calm down…after all…he will be a tiny baby! He won’t be deciding what to wear for quite a while! I will choose the most adorable things that I can find! We are just very excited about our grandson! Which one would you choose?!! 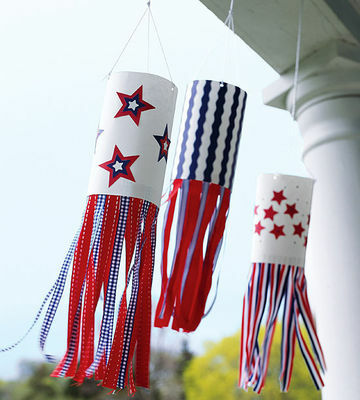 A Collection of 4th of July Crafts For Kids! A favorite…the clothespin wreath…our wreath was a bit disorganized compared to this one! However, it was still very beautiful to us! I loved making any and all crafts with my Kindergarten students! Of course, we were never in school on the 4th of July! So our own children had fun making some of the same crafts pictured below. In fact, I am sure that we still have most ~if not all~ of their creations. Where?! Who knows?! Just tucked away safely in a box! Some things are just to special to simply throw away!!! #6! An idea from Parent’s Magazine!! And one super cute watermelon idea! July 4th Flag Cake…For Children To Bake With A Little Help From You! Fun! Yum! July 4th Flag Cake decorated with blueberries and raspberries! Children love to bake…with a little help from an adult! So what if the process is somewhat messy and every bowl is used for the batter! Fun is what we are looking for…and a wonderful July 4th Flag Cake! Preheat oven to 350 degrees. Grease and flour a 13×9 inch baking pan. In large bowl, beat both boxes of pound cake mix with milk and eggs until blended. Pour into pan. Bake 45 to 50 minutes. Loosen edges; invert onto rack; cool completely. When cake is cool, beat whipping cream, powdered sugar and vanilla until stiff peaks form, reserving a cup for piping. Place cake on large platter or tray; spread whipped cream mixture on sides and top of cake. Arrange blueberries and raspberries on top of cake to resemble the American flag, with blueberries representing the stars and leaving space between each “stripe” of raspberries. If you choose to decorate more…spoon remaining whipped cream mixture into decorating bag with medium-sized star tip; pipe 6 lines between raspberries to represent the white stripes on flag. Then pipe decorative border around bottom edge of cake. Refrigerate until ready to serve. Opposites Are Fine. No Kidding! I met my husband on a Saturday when I was 24 years old. He is seven years older. He was already established in his career. He was certain about his career. I was still deciding what I might be when I grew up. I am honestly still deciding what I might be if I should ever grow up. He is quiet and fairly serious. I am talkative and rarely serious. I might be serious for thirty minutes a day. I do have deep thoughts, but I would rather write a story about them. That way…I can ponder the thoughts at a later date. He does not care about writing. I think that he has not recovered from his freshman writing class at UT-Austin. I would still be taking the freshman writing class if I could. He is tall. I am short. He had dark hair, but it is now gray. I had very blonde hair and now have sometimes blonde hair with a thank you to the beauty shop. In fact, I am very near desperate to get highlights right now. He would never consider changing his hair color. He is logical. I am not logical at all. I dislike math intensely. He is an accountant. Yes…I met him on a Saturday many years ago. The next day…I told my best friend that I was definitely going to marry him. We had a beautiful wedding two years later. I just knew immediately that he was the right one. And…my husband and I with our daughter and son-in-law, December 2016! A Sunny Day Forecast Even If It Rains. Rainy days are most always my favorite days. I like the cool and crisp air, the sound of raindrops on a metal roof, the distant thunder of an approaching storm. I feel like life is slowing down on rainy days. I feel like I have more hours in the day. I have time to read a book, make a list of things that I need to do, organize any scattered pictures, straighten a closet…I can do anything I want without rushing. I feel happy on rainy days. And then…like magic…the sun returns and the world brightens. The colors are so much more vivid and the sunlight makes the shadows dance. When the sun does make a triumphant return, I can think of so many fun places to go, new challenges to try. I feel free when the sun shines…I feel vibrant. I feel happy on sunny days. Maybe sunny days are my favorite days. I simply cannot choose. The fact is that all days are really my favorite days. Why not? I have another day to love my family. I have another day to make someone’s road easier. I have another day achieve a goal. I have another day to learn something new. I have another day to make a brand new friend. I have another day to get in touch with an old friend. I have another day to laugh, to smile, to find where joy might be hiding. I have another day to make certain that I look at the glass half full instead of half empty. I have another day to be as positive as possible. I choose to feel happy on all days. I only have one day to make this day a best day. I was in my early twenties and still deciding who I was and who I wanted to be. The words to the song seemed to speak loud volumes of sense to me…then and now. 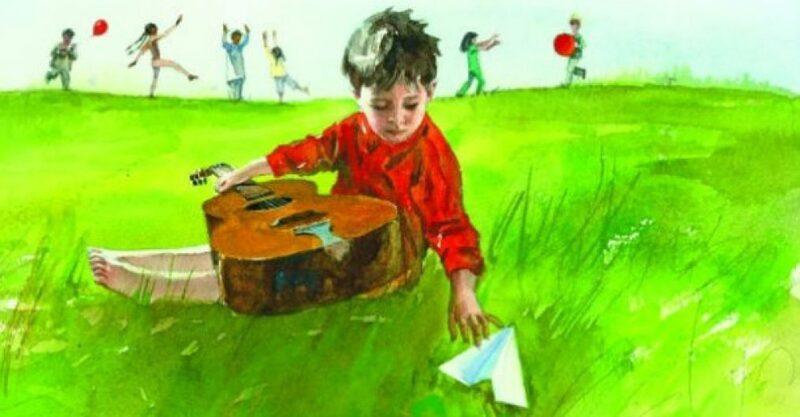 Read the words and listen to the song…it may be a slow tempo, but maybe it needs to be slow…so that we can hear each word distinctly and find our own meaning! Sunshine almost all the time makes me high. Another sailing video from a friend from my teaching days! Follow them on WordPress as they sail towards Key West and beyond. A great video!! I’ve been playing around with different iMovie programs and felt like this trailer “fit the bill”. We will be leaving Ocean Springs, Mississippi tomorrow weather permitting and going to Alabama. Our plan was to leave today but was awakened to thunderstorms and warnings. Getting a little wet is not a problem but having a mast that is also a lightning rod is. Our plan is no schedule. A Blue Mustang and Me. I couldn’t have a car on campus when I was a freshman in college. School rules said…NO, NO, NO. It was just as well…I had yet to have my own car anyway! I had never even thought about getting my own car. Having my very own wheels seemed like a very remote prospect. Good luck came my way when I met a group of girls in my dorm from Waco…one of them had a Volkswagon convertible! Saved by the bell! Freedom! Of course, it was a bit uncomfortable when six or seven girls piled inside. But…who cares? As the second semester was almost complete, a special something happened! My uncle worked for the Ford dealership in my hometown. Uncle Merton told my Dad about a FORD MUSTANG that had just arrived on the used car lot! A Mustang from one of the first years that they were made! I certainly did not mind that it was used! No problem there! The car was blue. The car was fast. The car was…well…totally cool. But…most important…the car was a good price! The blue Ford Mustang became mine! When I took my Ford Mustang to college for the Fall semester, I was so proud that I drove around campus for at least an hour every day. It is a wonder that I had time for class. I kept that car spotless and admonished anyone who left a scrap of paper in the car. Actually, I must have been a truly problematic friend! I bought a blue trash container to match my car. No litter in my car! One day, I picked up a guy who I knew from the school newspaper staff who was walking back to the dorm. I felt sorry for the boy since he didn’t have any wheels. I must have been a show-off. Anyway, he got in my car and proceeded to try to light a cigarette. He might have succeeded except for the fact that I quickly grabbed the cigarette and threw it out the window. So much for getting a date with that guy. He jumped out at the next corner. I made a “no smoking” in my car sign. I wrote it sort of politely. And then it happened. My roommate wanted to go downtown to buy a sweater for a date that night. Of course, I agreed. Going downtown was another excuse for driving down Main Street while waving to people like I was in the Homecoming parade. It was slightly raining and a bit slippery. A car stopped in front of me to turn left…no brake lights…and we were both busy waving. So I plowed into the back of the other car. No one was hurt. I got the ticket…a big ticket. My Mustang was (or so they said) fixable. My parents were not at all happy. My roommate’s parents were not happy. We never waved again…well, not very much. Anyway, she stole my new boyfriend the very next week. She lost the chance to ever, ever ride in my car again! One of my college dorms! I parked my car in the very front! Eventually, I calmed down about my car. I was just so excited about having it! And then…it started acting up. The wreck was too much for it. Or maybe my driving was too much for it. Sometimes, it would not start at all. Sometimes, the key would get stuck. Sometimes, the gears would not work correctly. The air conditioner stopped behaving. Everything was wrong, but I kept it until I graduated. I even drove it (barely) for a year or so after graduation. A BRAND NEW CHEVROLET CAMARO! I paid sticker price…no haggling at all. Where was my mind? Today, I would argue for three weeks about the price! However…that Chevrolet Camaro was one fine car!! !